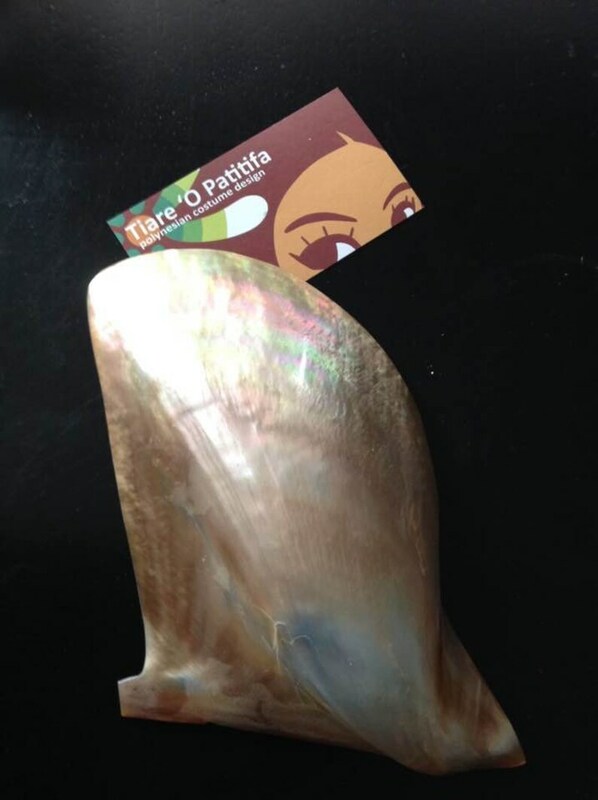 Polished Mother of Pearl Brown Lip Shells 7" to 8" inches Measured Diagonally. 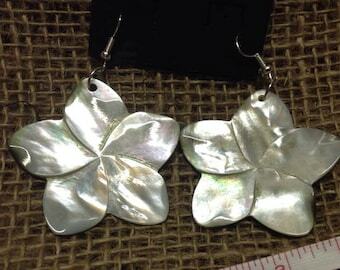 Polished Mother of Pearl Brown Lip Shells. 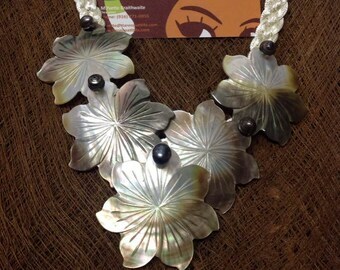 This is a polished mother of pearl brown lip seashells. NOTE- measuring from 7 inch to 8 inches, measured diagonally across the shell. (not measured up and down or side to side). 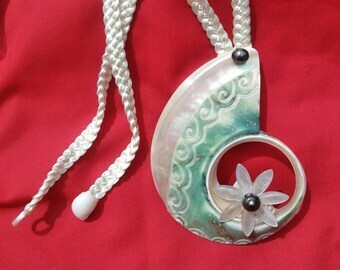 Perfect use in seashell art and crafts, costumes, display. 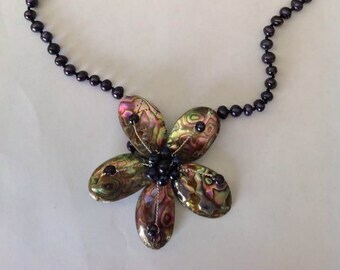 Mother Of Pearl Shell & Black Pearl Choker Or Necklace!!. Let Us Know, We Can Turn This Cord To A longer Necklace!! 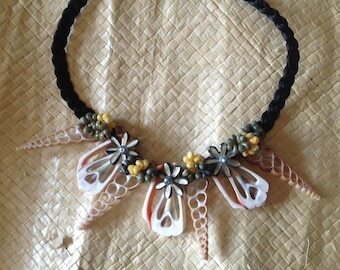 Perfect For A Gift..
Cowrie Shell Rosettes Or Cowrie Shell Rings.. 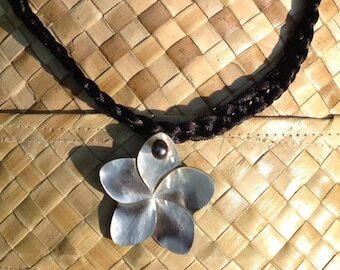 Perfect Polished Rosettes To Add To Your Headpieces Or Any Polynesian Costumes! !